June 2, 2014  At a hastily called news conference Monday, it was announced that the 76-year-old king will step down. His 46-year-old son, Crown Prince Felipe, is expected to become king. 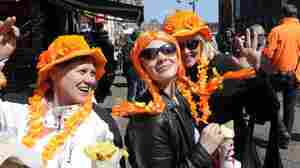 April 29, 2013  Queen Beatrix plans to abdicate on April 30, a national holiday known as Queen's Day. When Crown Prince Willem-Alexander is sworn in, he'll become the first Dutch king in 122 years. April 28, 2011  With all the hype over this week's royal wedding you might think there's nothing left to learn about Prince William, Kate Middleton and the British monarchy. The Wall Street Journal digs deep and uncovers the story behind the story: the last person in line to the crown, behind nearly 5,000 others.